Accepting when we’re wrong in our choices is a part of growing up. It’s inevitable that we’re going to make a poor decision every once and a while, no one’s perfect. Mary Laura Philpott, author of I MISS YOU WHEN I BLINK, shares her theory on confirmation bias and why it’s hard to admit when we’re wrong. We go through life looking for proof that our choices have been right. Psychologists call this confirmation bias. If you’re a scientist, confirmation bias in experiments can lead to errors, because without realizing it you give greater weight to any findings that support your hypothesis and make excuses for findings that don’t. You draw faulty conclusions, because you’re not being objective. 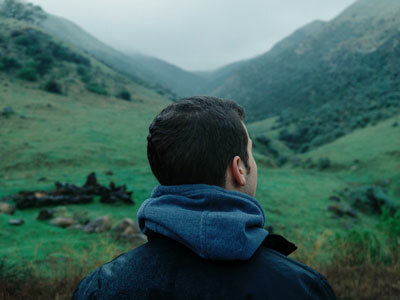 Here’s the problem with taking that approach to life all the time: It’s totally normal to look around every now and then and see that some things aren’t working—that you need to adjust the dials, retool your life a bit. That’s what people do. But you have to overcome confirmation bias in order to do that. You have to be willing to call something wrong, to say something feels bad. That’s hard enough for any human being. For me, a person whose very identity and peace rely on looking at things and thinking, Yes, that’s right, looking at my own emotional state and feeling, No, that’s wrong, was more than unsettling. It felt disproportionately catastrophic. It made me think, Wait, if I’m not the person who makes the right choices all the time, then who am I? That I might have made choices that were “right” at one time but feel “wrong” right now seemed impossible. Right choices are supposed to feel right forever . . . right? Wrong is the one thing I cannot stand to be. 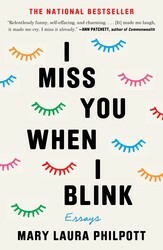 Find out more about learning to accept when you’re wrong in I MISS YOU WHEN I BLINK by Mary Laura Philpott. 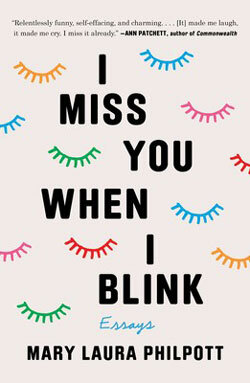 Excerpted from I Miss You When I Blink by Mary Laura Phipott Copyright © 2019 by the author. Used by permission of the publisher. All rights reserved.